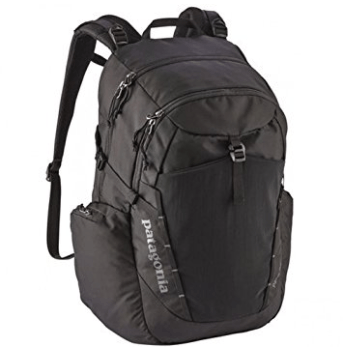 Patagonia Paxat Pack is offered in two sizes for women (30L capacity 48090 model) and men (32L capacity 48046 model). Women’s Paxat has the narrower and shorter torso than the men’s with straighter, shorter and tapered shoulder straps. They are custom tailored for women’s specific needs- smaller torsos. You can get the women’s Paxat in four color options of black, birch white, Elwha blue and navy blue. And the men’s Paxat is offered in forge grey, black, navy blue and smoldering blue. The 30-liter capacity pack weighs just 1.8 pounds and measures 11.4 x 7.9 x 17.7 inches, while the 32L pack is 2 lb. heavier at 0.2 pounds with the dimensions of 11.8 x 9.8 x 19.7 inches. They are the largest daypack by the company so far, with a spacious interior and a big panel-loading design. You can organize your stuff better when you’re commuting and traveling and they both include a padded TSA- compatible laptop compartment. They are made of 630-denier hundred percent nylon, which is 50% high tenacity and 50% recycled, have a polyurethane coating and water repellent finish so it resists the moisture better. The lining is 200-denier hundred percent recycled polyester. 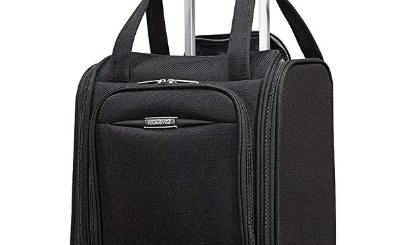 The laptop section lays flat through the clamshell opening so you do not need to take your laptop out when you’re going through the airport security. You can fit in most 15-inch laptops in this compartment and is also ported for hydration. You will find a few slots to organize your essential items. You can put your gym outfit, shoes, Protein shake, your meal , books and whatever you want in the main section as you can fit in quite a bit. There is a second zipped compartment for smaller items like keys, tablet, and small electronic stuff. The top pocket lined with soft fabric can have your mobile phone, iPod, sunglasses and more. You can put your smoothie and water bottles in the zipped side pockets. The stretch woven drop-in pocket is good for items that you wish to access quickly. The shorter, straighter and tapered cut on shoulder straps will fit the female torso. And the very soft mesh on shoulder straps and back panel keep you cool. The compression straps, sternum strap, and the webbing waist belt help stabilize the load. The polyester lining inside and nylon outside make the Paxat Pack both lightweight and solid and durable. 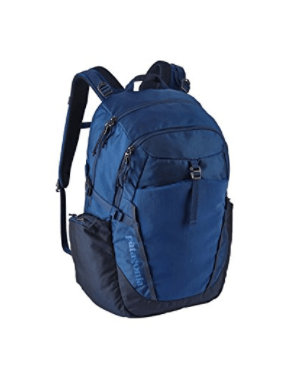 This is a very good quality great quality, well-padded, comfy and functional backpack with many pockets for better organization of your belongings and a lot of storage space. Paxat Packs are not really cheap but you get what you pay for with any of the Patagonia brand products. Patagonia brand day packs and fishing vest packs are produced by the Vietnamese Kanaan Saigon sewing factory.